I promised myself I wasn't going to get emotional about this. Are Our Best Days Behind Us? I’m reading the short stories of John Cheever right now. Something about his characters and themes taps into traits and inclinations that are at the core of who I am. Cheever had/has a fixation on loss, lost youth, lost money, lost hope. Yesterday, as I was reading one of his short stories, about a character described, at 40, as a middle aged man, I remembered something I had forgotten. I am middle aged. And unless I live to be 95, I am on the downward slope of middle age. But whenever I get worried about my age, I always think of Sarah Jessica Parker who is three years older than me. At every age, she is beautiful and fashionable and smart and relevant and the thought of her comforts me. This morning, I read Cheever’s O Youth and Beauty, about a former star athlete who in middle age has money problems and drinks too much. Again, as I drank my morning coffee and sat on the couch reading, I wondered, are my best days behind me? I remember that hope we had, I had, in our youth that our adult lives would be filled with an abundance of riches. Not just monetary riches, but certainly including those. We would have many friends, many children, many vacations, many pets, many accolades, many successes. When I was in high school, I was in forensics, and I was sometimes asked to do monologues or scenes at various womens’ clubs in Independence. A small group of us would assemble in a church fellowship hall and entertain the ladies. My piece was always from God’s Favorite by Neil Simon, always a crowd favorite. 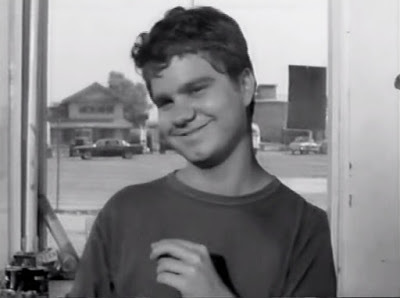 Even at 16, I could tap into the Charles Nelson Reilly that was gesticulating within me. We’d put on our little show, they’d feed us cookies and tea and sometimes give us a small honorarium, and then we’d be on our way. I’d drive off in my ratty ’65 Mustang and think this was just the beginning of a rich life. Unlimited promise. Are all of my best days behind me? As I walked the dogs a few minutes ago, I asked myself that question. How far back in my memory reserve would I have to go to access a really great day, not just a good day, but a special, think of it for years to come day. Maybe even a remember it on your deathbead, a la Claire Fisher from series finale of Six Feet Under, kind of day. You can imagine my relief when a fairly recent memory popped into my head, from a mere two months ago. Not surprisingly, I was on vacation. Also, not surprisingly, I was in New York. Eric and I were in New York but during the day he attended a trade show at the Javits Center. I decided that was the day I would go to Governors Island. I’d never been to Governors Island, when I lived in New York, I do not think it was open to the public. 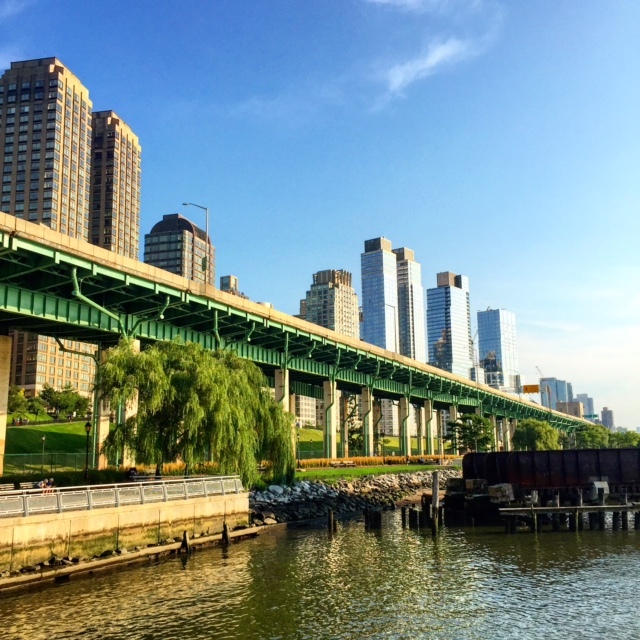 I took the train to the tip of Manhattan and walked to the Ferry terminal, then took the Ferry to Governors Island. I walked around the island, took pictures, posted pictures to Instagram. I boarded the ferry to return to Manhattan. Took more pictures of both islands. Docked in Manhattan and went to Starbucks and bought a water with a gift card my Mom sent me. I visited a gift store I like where I bought vintage looking dog stickers. I pondered the possibility of taking the subway back to midtown where we were staying, especially since it was 90 degrees, and also, I developed a stomachache from drinking that water so fast. But I decided I would walk until I got tired and then take the subway the rest of the way. I walked from South Street Seaport through Tribeca and Soho into Greenwich Village then by my old apartment on 15th street. I walked up 8th until about 30th and then I jogged over to 9th Avenue. Somewhere around 23rd, the thought of a flower topped chocolate cupcake from Cupcake Cafe popped into my head. How long it had been since I’d had one of those cupcakes? Ten years? Fifteen? When I got to 9th Avenue, the bakery was not where I remembered it but across the street. Had they moved or had I remembered it incorrectly? I bought my cupcake. I considered eating it at one of the handful of dusty tables, but decided I would take it back to the hotel and eat it there in the blasting air conditioning. I walked up 9th Avenue with the intent to also buy a sandwich at Amy’s Breads but at Amy’s Breads, at 2:30 p.m., the sandwich pickings were slim. So I ambled up and got a turkey sandwich at the French bistro near our hotel. I ate my feast in our room, half interested in an episode of Catfish playing on MTV. I took a shower and Eric texted me to say we would meet for drinks at Soho Grand before our dinner at Balthazar. I had a few hours to kill so I decided to visit a museum on the Upper West Side where an Al Hirschfeld exhibit was ongoing. I walked from our hotel, around Columbus Circle then up Central Park West. I took pictures of some of the more stately apartment building along the avenue. I’d walked by them a hundred times before but I hoped that because I was taking pictures of them now, I would remember the names and the details. Was the Dakota above or below the San Remo? When I got to the museum, I found that they were closing in less than an hour and admission was almost $20, so I decided not to go in. I’ll never know how many Ninas I might have discovered inside the New York Historical Society. On 81st, I turned to walk west, inspired by the thought that it had been many years since my last visit to Riverside Park. On 81st and West End, I happened upon The Calhoun School, famous because the building itself looks like a giant television. I took a picture and sent it to friends via Facebook. On Sundays, when I lived in New York, I attended a church that had services there. I tagged Yvonne and Tania and Sarah in the picture I posted, I would have tagged Dana but she isn’t on Facebook. From there I kept walking and as I crossed Riverside Drive, I remembered an episode of Naked City that was filmed there. How could the street look almost the same 50 years later? Has there ever been a city as unmoved yet everchanging as New York? I walked into the park. It’s no Central Park, I thought to myself. But I walked south until I discovered the Seventyninth Street Boat Basin. I considered stopping for a glass of wine. I remembered that I’d actually woke up a little hungover that morning. Too much bourbon at Bemelman’s and Robert and the Ritz-Carlton the night before. So I kept walking. I walked down the parkway along the Hudson River, marvelling at the stunning views of the water and the George Washington Bridge and New Jersey. I thought about how growing up (in Kansas) I always pictured New Jersey as an ugly, undesirable state and obviously, now I knew how wrong I was. I grew to love New Jersey decades ago. I walked south to a new park with a fancy, sophisticated walkway and then I headed back to Columbus Circle. It was 5:30 and after my industrious walk, I was sweaty again. I decided to go back to the hotel to take another shower. I was a little late to the Soho Grand, but Eric and our friend were enjoying cocktails and Sriracha-coated peas when I joined them. Believe it or not, I did not order a cocktail. From there we had dinner at Balthazar, which was good. And then I can’t remember what else we did. Did we walk around Rockefeller Center and then up 5th Avenue? Did we go for drinks at the Ritz-Carlton again, then along Central Park South back to our hotel? I don’t know. It doesn’t matter. Years from now, I might remember it incorrectly, that we hopped into a cab and sang songs around the piano at Marie’s Crisis or that we walked across the Brooklyn Bridge at midnight. And if that’s the way I remember it, that’s okay. No reason to getted bogged down by the facts. Besided the hangover, the stomach ache, the pervasive heat, the not getting to see the Hirschfeld exhibit, I also had to contend with moments of melancholy and anxiety throughout this special day. Like a Cheever protagonist, melancholy and anxiety, and self-absorption for that matter, are part of who I am in my core. And yet, I will always remember this day fondly, importantly. I walked 23.58 miles that day. I know that because I tweeted it that night when I got back to the hotel. I was proud of what I accomplished. I take my visits to New York very seriously, but you already know that. Already, Eric and I are planning our next visit. I have to wrap this post up in a speedy manner or else I will be late to work. Forgive any mispelled words or dangling modifiers, maybe I’ll go back to fix my errors when I have time. So off to work, I’ll go. Sometime during my day, I’ll check Kayak for flight and hotel deals. I’ll remember a museum that I wanted to make it to in August and I’ll go to their website and see what exhibits they’ll be showing at the end of January, beginning of February. Maybe I’ll finally make a reservation for us to eat lunch at The Four Seasons or Afternoon Tea in the Palm Court. Still planning a bright future. We must do what we can to prove that our best days are before us. Several years ago, my Mom had a short stay at Mercy Hospital, the hospital in my hometown. From half a continent away, I called her in her hospital room daily to check in. Obviously, I could picture her room because I spent many hours at Mercy Hospital growing up. 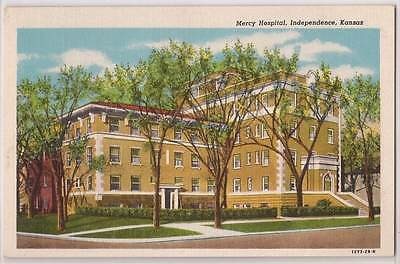 If you grew up in Independence, you can’t think about Mercy Hospital without thinking of the milestones of your life, the happy and the sad, that are connected to her. I can’t remember what else we talked about but after a few more exchanges, I sensed something was awry. She replied that she wasn’t, the woman gave me her name, and I was relieved to learn that the addled person I was talking to wasn’t my mother after all. We said our goodbyes, polite Kansas folk that we were, and not long after, I was connected, by telephone, with my Mom. I guess the memory sticks in my memory because of the journey it took me on, worry to confusion, confusion to relief, and the relief with a hint of residual worry left behind. I’ve been thinking a lot about Mercy Hospital. You might know that it closed its doors this week, yesterday, I believe. Months ago, when I heard about the imminent demise, I could not wrap my brain around it. It seemed like an impossibility. What I have learned in the last few weeks, after reading article after article about Mercy Hospital’s last days is that small hospitals in small towns are closing all over the country. The New York Times ran an article about Mercy Hospital this week. I read it with a mixture of sadness and pride, if that makes sense. On the one hand, I’m worried about what will happen to my little town and on the other hand, hey, we made The New York Times! I won’t get into the politics of this. I’m no expert in government or healthcare in America. I just want to say that from 1500 miles away, I will miss Mercy Hospital. Like many others, I hope that something will happen that will turn the tide, that somehow, by some miracle, Mercy Hospital might reopen. The sooner the better. Someone, a friend of a friend, made a comment on my Facebook page, a reference to my last blog, where I ruminated on my fear that all of Independence hated me because of another blog I wrote. This woman told me not to worry about my town, that my town was fine. And I know she was talking about something else, but in the proximity of what was occurring in Independence this week, I couldn’t help but wonder, without a hospital, will my town be fine? How do we progress into the 21st century while still valuing and retaining what has worked in the past? I worry about the high school friends I have who worked at Mercy Hospital, where will they go? I worry about the citizens of the town, what will happen when people fall at home or get into car accidents? I worry about all of it. But if you know me even a little, you know what I’m most worried about. And if you’re reading this and your parents still live in Independence or any of the other Independences out there, you understand my concern. I don’t have to tell you what you already know, that in an emergency, there can be a big difference between a 5 minute commute and 30 minute one. If any good has come of this, I’ve been reminded how much I love Independence, how much I love this little hospital. Maybe someone else, someone with a lot more money than me, will be reminded of the same thing and find a way to save the day. Also this week, also prompted by something I read on Facebook, I’ve pondered what it means to be Kansan. Is there a common thread that runs through all of us? I think there is. We Kansans, we persevere, we endure. I see all of us, living and the ones who came and lived before us, like characters in an episode of Little House of the Prairie. Corny, I know. But whatever it is that life throws into our path, be it droughts or floods, snow or ice, pestilence or Nellie Olesons, we persevere. We endure. And so, in regards to the death of Mercy, and our little town’s future, I must offer the same stoic optimism. If you think you hear a catch in my voice, you would not be mistaken. But I do believe, I must believe, our town will be fine. One of the mostly darkly comic moments of my high school career was the day of officer elections for Fellowship of Christian Athletes. It was my junior year and I had been very involved in Fellowship of Christian Athletes (FCA) since my freshman year. I went to every meeting, every weekend retreat, every Tuesday night bible study. I wasn’t really an athlete, but I sure was a Christian and I had every Amy Grant cassette tape to prove it. If you are a person that remembers high school, you might remember how some clubs were a little nerdier than others. FCA was not a nerd club. I’ll never forget my freshman year, going to meetings, spellbound by the devotions given by junior and senior club leaders, popular boys and girls, who talked about how their relationship with Jesus really helped them get through the day. And also, to win games. By my junior year, FCA was the one club I was most involved in. Many of the people I considered my best friends were also in that club. When officer elections came up that year, I knew that I really wanted to hold some kind of office during my senior year. I aspired to be that upperclassman giving devotions, inspiring freshman about how Jesus really makes your day better. So I signed up to run for every office: president, vice president, secretary, treasurer. I think there was even something called stu-co rep that I threw my name into the hat for. I was sure that with all that putting myself out there, something would pay off. Clear eyes, full hearts, can’t lose. The day of elections, my first clue of the tragicomedy to come was that every FCA member in the school showed up to vote. While FCA boasted a large membership, meeting attendance was never mandatory and often not heavily attended. That day was the exception, every lumbering football player, towering basketball player and Aqua-Netted varsity cheerleader showed up to vote for officers that day. The first office that we voted for was president. I don’t remember how many candidates there were, I don’t remember who won. I just remember it wasn’t me. I won’t drag this out for you the way that afternoon dragged on for me, but each election bore the same result. Each time my fellow FCA members had an opportunity to vote, they voted for the other candidate. By the time we got down to stu-co rep, there were snickers that travelled through the auditorium when my name was announced as one of the candidates. Like Carrie at the prom, in the moments after that pigs’ blood fell on her head, I realized that whatever it was that I wanted from these people, boys and girls I considered my peers, I was not going to get it. By a show of hands, the vote took place. Someone other than me won. That afternoon, after the calamitous election, I went home and took to my waterbed. I don’t remember crying specifically, but I probably did. What I most remember is laying there, heartbroken and embarrassed. In all my years of living in Independence, I don’t think I ever felt so alone. My only consolation was that someday I would leave Independence and leave Kansas and show them all. I would have a wildly successful adult life and when I came back to Independence to visit, everyone would clamor around me, wanting to get close enough that my stardust might rub off on them. And while I have left Independence and left Kansas, my life is just kind of a life. Not too glamorous, barely any stardust at all. Did I have any idea, on that lonely spring afternoon, as I pouted in my bedroom, how many times I would think of that day in the 30 years to come? I don’t think I did. On that afternoon, I decided I was not going to be a member of FCA my senior year. I would not be sharing my athleticism or my Christianity with people who did not appreciate it. And I held to that resolution. Instead, my senior year was filled with rehearsals and performances for four different plays. It’s no wonder I loved being on stage, acting in these plays. The thought of becoming someone else is what I’d spent 17 years dreaming about. One of the plays I did in that busy senior year was written by William Inge. The play, A Loss of Roses, was Inge’s first big Broadway failure, the first of more than a few. Inge wrote quite a bit about his hometown, my hometown. In his adulthood, he did not spend a lot of time in Independence. From what I’ve read, I don’t think he liked visiting. An overly sensitive man, a success who never stopped feeling like a failure, I think his visits home dredged up too much pain. It’s always a little embarrassing to write about one’s pains, one’s sensitivities. Inge did it beautifully, but now, now that we know how much sadness he bore his entire life, it’s heartbreaking. Lola, always ready to play the victim, but stronger than she realizes. Rosemary, on her knees begging a man she may not even love to marry her because the loneliness is killing her. Millie, overshadowed by her beautiful sister, defiant that one day she would leave Independence and live a successful, decorated life. Sometimes I worry that I am in a downward spiral, that the trip to the Menninger Clinic that William Inge and Deanie Loomis took might be in my future too. There are days that I am overwhelmed by my sensitivities. There are moments when I wonder, am I the only person bothered that no one stops at stop signs in Los Angeles? I woke up at 5:00 a.m. this morning with the fear that everyone in my entire home town hates me now. Over something I wrote about in a blog yesterday. And then I fretted over that fear because who really thinks that way except for the delirious and the paranoid? And then to try to make sense of it, I sat on my couch and typed all this out into my little phone. And then, later, I’ll go back to reread what I’ve written and judge it and decide whether I’m willing to share it, the ramblings of my overtired, oversensitive, quite possibly delusional brain. Of course, you know I published it. You know I took that risk. It’s what we writers do, we risk revealing the darkness of our souls. Even us failures, especially us failures. And vultures that we are, we all take solace in being reminded of others’ failures, because they are not our own. It was me. Let the chips fall where they may. I know I don’t think of myself as a trouble maker and yet the fact that trouble always has a way of finding me indicates that perhaps I seek trouble more than I am willing to admit. It all started a few days ago. On Facebook, naturally. Someone I grew up with, I’ll call her Melissa, posted a picture on Facebook that I found disturbing. She posted a picture of a bloody dead deer. 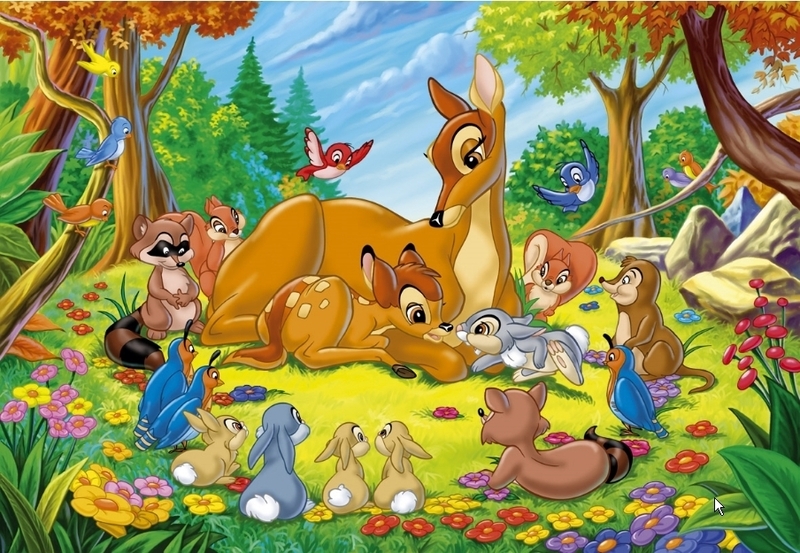 She included with the picture a witticism about the deer being Bambi’s mom. Now, I am from the midwest, so I have seen quite a few pictures of dead deer on social media over the last few years. To me, it’s jarring to scroll down your news feed and come upon a picture of a bloody animal. And let me state for the record, there is a possibility that I am the only person who feels that way. This person who posted the picture is not someone I would classify as a close friend. I have not seen her once in the last 20 years. I decided in that moment to unfollow Melissa. It’s not like we really even have much Facebook contact, we don’t send messages, she doesn’t really click like on pictures I post. I can’t remember how it all played out, but I think when I told FB I wanted to unfollow Melissa it asked me if I wanted to report that picture. So I said yes. In retrospect, I have to wonder why I felt the need to report the picture. It was and is my understanding that if one person reports a picture, nothing happens. If several people report a picture, FB may delete it or ask you to delete it. If anyone has more expertise on FB’s reporting policies, please feel free to weigh in. Facebook asked me why I wanted to report the picture and after a series of multiple choices, I chose that the picture was gory. Obviously, gore is somewhat objective, I realize not everyone in the world looks at a picture of a dead deer, bleeding out from its wound, and sees that as unsightly. I posted a tweet/status update about hoping there might be less dead deer photos in my news feed this fall and winter. I wondered what might be the kindest, smartest, most empathetic way to ask people to post less of these type pictures. I don’t think what I came up with achieved those missions. I wrote, “Racking my brain, trying to figure out the least passive aggressive way to ask people not to post pictures of dead deer this deer season.” A few people clicked like, a few agreed with me. I will say that I am not a vegetarian, nor am I against hunting. That Melissa and her family will consume this animal does not disturb me. I just did not think it was the kind of thing I wanted to see on social media. This morning, a friend of mine who saw my tweet/status update from Monday asked if I was the person who reported Melissa’s picture. I admitted to my friend that it was me. This friend shared with me the status update and thread where she said someone had reported her picture and she wanted to know who it was so she could delete them. There were many comments of support, people who felt there was nothing disturbing at all about her dead deer picture. And that’s when I felt bad. I asked myself again, seriously, why did I feel the need to report the picture? Why did I get so fired up? It’s just a picture. Couldn’t I have just unfollowed and not look back? I thought about sending Melissa a message, apologizing for reporting the picture, offering best wishes, trying to explain myself. I realized, though, that there was nothing I could say that would make her see it my way. We both may be from Kansas, we both might have even moved far away from Kansas, but we see life differently. If I could undo reporting the picture, I would. If I could undo unfriending Melissa, I would do that too. I don’t know if the picture is still up, I do know that she knows it was me. She commented in another thread that she thought I was the kind of person who would have told her without reporting it. And I would say she makes a good point. So, I guess that’s it. Everybody knows. I know there are much bigger problems in the world than this, but I am not proud of my actions. Melissa, if you ever happen to see this, know that I am truly sorry. I do wish you the very best. Ralph Meeker is Gay, or rather, Ralph Meeker is Gay? "Where Did You Get That Dress? It's Awful! And Those Shoes and That Coat! Jeez!"